This whole "Room to Play" Giveaway Event really started with this twin platform bed from Hayneedle. I was looking at our 3yr old daughter one night while she was sleeping and realized that she would be outgrowing her toddler bed in the near future. When we first opted for a toddler bed, it seemed like a good idea. Now looking back, I think we should have gone with a low profile twin bed like this ready-to-assemble Step One Platform Bed, which would have at minimum lasted us from age 18mos to her tween years. This type of platform bed is also known as a bed box because it does not have a headboard (which turned out to be a great space-saver) and simply consists of a base. This bed did not have too many parts. Aside from the heavy lifting, it was pretty easy to put together. 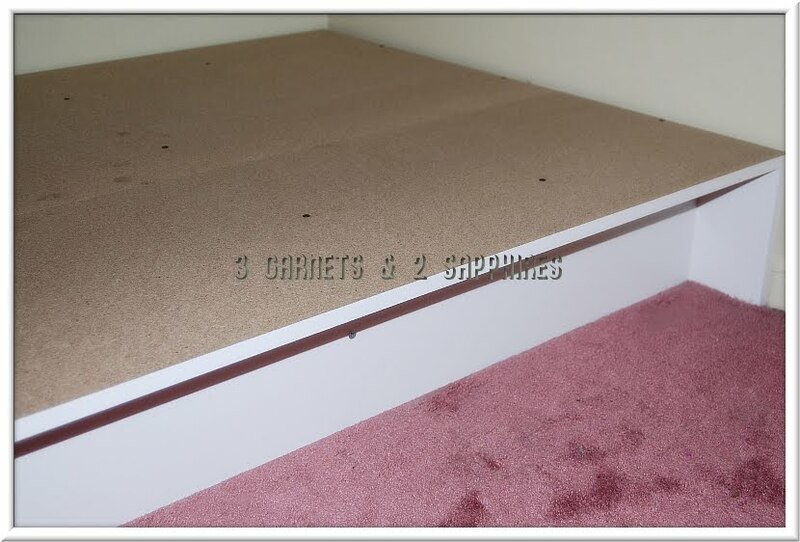 We have owned many pieces of particle board furniture over the years and they have always held up very well, except for the ones that have gone through more than one major move. This bed is extremely solid. 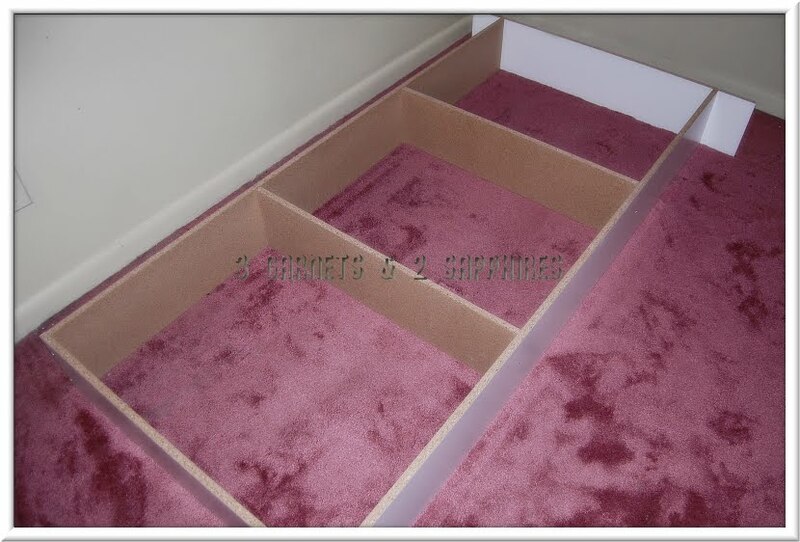 I much preferred this simple bed box over a bed with slats because it is lower to the ground and it does not require a bunkie board to take the place of a foundation, which use to be known as a box spring. We bought a firm mattress for our daughter in hopes that it would feel most similar to her crib mattress, so it is only about 8" thick. This would make the bed height about 16" high, which is a pretty safe height. We have had the bed for almost two months and she has not fallen out once. If you are worried, you can always add a bed rail. The only difficulty we had was with the adhesive for the corner guards. The manufacturer wanted them to be clear so they would be more attractive. 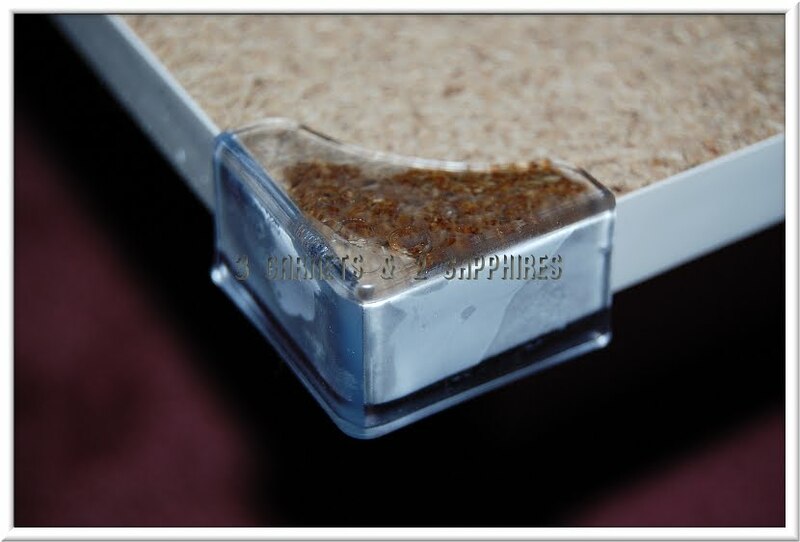 The problem was that the adhesive that came with it was like very thin rubber cement between two pieces of backing. It was impossible to peel the backing off both sides of the adhesive, which did not remain intact. We ended up just using some type of super glue. As you can see, my daughter loves her new "big girl" bed. The only suggestion I have is to include white molding to trim the platform. 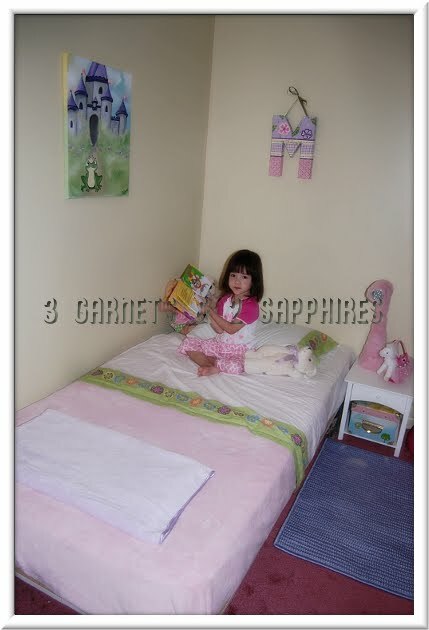 I have seen other similar platform beds that come with trim. I would not mind paying a little extra for it. 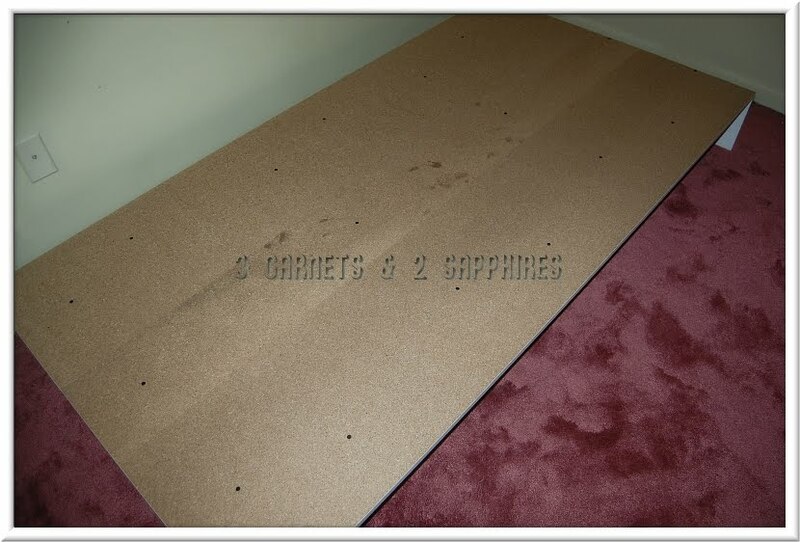 In the stock photo, the bed is covered with layers of blankets and comforters, but as you can see, one flat sheet and one blanket are not thick enough to cover that unsightly particle board. I might have to buy a bedspread or coverlet or maybe a full size blanket just to cover the edges of the bed. To keep up with the latest and greatest offerings from Hayneedle, visit the Hayneedle Blog, Hayneedle on Facebook, and Hayneedle on Twitter. 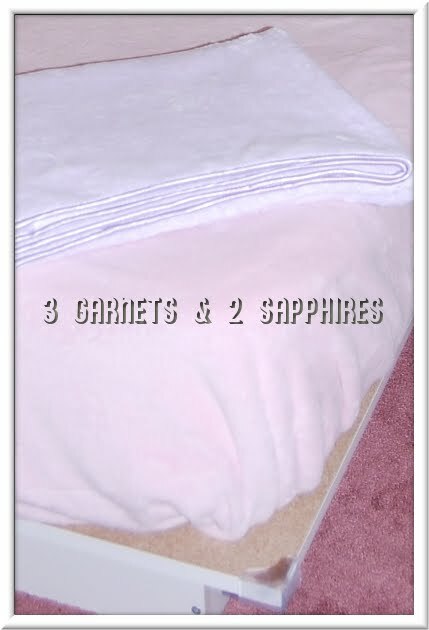 Thank you to Hayneedle.com for providing us with a sample bed free of charge to base this review upon and for providing a gift certificate for our contest prize. One lucky reader will receive a $150 gift certificate to shop at any Hayneedle website. Browse the selection of home furnishings and more on Hayneedle.com . Then leave a comment telling me what you would spend your $150 GC on if you won this contest (excluding the bed reviewed in this article). You MUST do this to be eligible to win this contest. 3a) For 10 extra entries, blog about this contest linking back to this post AND Hayneedle.com . Then come back here and leave TEN separate comments with the link to your blog post. 5) For one extra entry, follow Hayneedle on Twitter. Then leave a separate comment with the link to your Twitter profile.